The new book ‘Between selfies and WhatsApps: Opportunities and risks for connected childhood and adolescence’ is based on comprehensive research carried out across Europe and Latin America led by Sonia Livingstone, and is edited by a team from EU Kids Online. 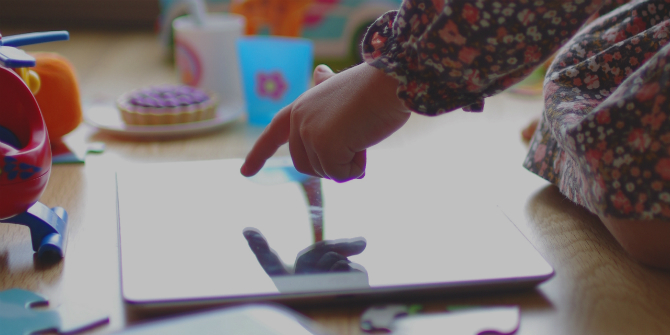 In this post, Kate Gilchrist highlights some of the key findings including that children are proportionally experiencing less harm online, yet parents, teachers and industry must do more to improve their digital literacy. 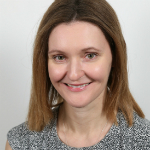 Kate is the editor of the Parenting for a Digital Future blog and is a PhD researcher in the Media and Communications department at LSE. Children are accessing the internet at increasingly younger ages, and are doing so in more diverse and mobile ways, such as via smartphones, tablets and the Internet of Things according to the new book ‘Between selfies and WhatsApps: Opportunities and risks for connected childhood and adolescence’. Parents are increasingly using media in positive ways to communicate with their children rather than restricting their use. But more needs to be done by parents, teachers and industry to improve digital literacy. The research for ‘Between selfies and WhatsApps’, edited by a team from the EU Kids Online network in Spain, draws on the EU Kids Online project led by Sonia Livingstone, and was carried out by researchers in both Europe and Latin America. More than 70% of schools in Colombia, Costa Rica, Chile and Peru have internet access. In Britain, over a third of 3- to 5-year-olds now own their own tablet – and use it for over an hour each day. The research explores the consequences for children and adolescents of living in what is an increasingly mediated environment, both in Europe and in Latin America. There is near-universal internet provision in schools in Brazil and Uruguay, with more than 70% of schools having internet access in Colombia, Costa Rica, Chile and Peru. In Britain, 25% of 2-year-olds and under now own their own tablet, as do 36% of 3- to 5-year-olds – and they use their tablets for over an hour each day. In Spain, children own mobile phones from the age of 8 and nearly two thirds (64%) of children access the internet daily. The percentage of children harmed as a result of being online has decreased. However, while online access, and therefore risk, has increased, the percentage of children who suffer harm from being online has decreased and parents and children are also more aware of risks. Digital devices in themselves should therefore not be seen as making children more vulnerable. Parents increasingly monitor children’s online activities, but they restrict girls’ use of the internet more than boys. As children increasingly engage with digital media, it was found overall that parental mediation is fundamental to minimising risks and maximising opportunities. Across Europe, parents are more likely to use digital media as a way of communicating with their children than to restrict children’s use. However girls were more likely to be restricted by their parents than boys. Parents are using features such as parental controls, time limits and tracking devices on smartphones to monitor children’s activities more and more. However this needs to be balanced with children’s – and particularly adolescents’ – desire for and right to privacy and autonomy. This raises pertinent issues for parents who would like to keep an eye on their children’s media use, but also maintain levels of trust. Technology must protect both children’s wellbeing and rights. The development of better digital skills is crucial to maximising children’s online opportunities and minimising risk. But in order to learn, the industry must ensure that technology is regulated and developed in an accessible and responsible way. While children’s wellbeing needs to be a priority, developers and policymakers must balance this with their right to participate online as much as possible. This is also vital for ensuring that children later develop into capable and responsible digital citizens. Internet access is often high in schools and homes in Latin America, but in both Europe and Latin America there were stark differences between access in rural and urban places. In both regions schools often failed to go beyond providing access and equipment to consider how children can be encouraged to empower themselves online. ‘Sexting’ affects a third of children aged 11-16 in Spain, with girls more likely to send ‘sexts’ and boys more likely to receive them. Cyberbullying apps are most effective when accompanied by offline solutions such as awareness-raising. While the percentage of harm experienced by children was found to have decreased, two main risks remain online – ‘sexting’ and cyberbullying. In Spain, a third of children, aged 11 to 16 had sent a ‘sext’. Such a practice was highly gendered, with boys more likely to receive ‘sexts’ (35%), compared to 28% of girls. Boys also tended to send more explicit images. Gender was intersected with class, with girls of a lower class more likely to be judged negatively for ‘sexting’. Yet analysis of social media practices found that girls occasionally used selfies to challenge beauty norms. When it comes to tackling cyberbullying, use of digital apps such as Cyberprogram 2.0 or Make Sure helped, but they were most effective when combined with more traditional offline solutions such as raising awareness through discussions with teachers and peers. Children can build resilience by developing their own strategies for preventing and dealing with risk on the internet. But whether they did so was heavily influenced by whether peers saw certain behaviours as risky, or if there was a perceived risk to their reputation. Regulations need to be improved in ways that ensure child safety online without prohibiting children’s right to engage. Schools must work to cultivate digital literacy skills in young people but such a responsibility should be shared between teachers, parents and everyone who has a care-giving role. Parents should balance monitoring of children online with concern for their autonomy and privacy. Public investment in infrastructure and devices can provide more opportunities, but that alone is not enough: teachers must play a more active role in helping children take advantage of these opportunities. 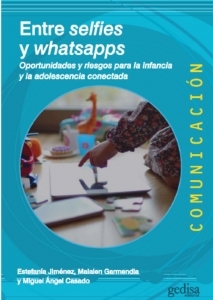 ‘Between selfies and WhatsApps: Opportunities and risks for connected childhood and adolescence’ (published by Geduisa) is edited by Estefanía Jiménez, Maialen Garmendia and Miguel Ángel Casado, who, together with Iñaki Karrera and Carmelo Garitaonandia, are members of the EU Kids Online research network in Spain. EU Kids Online aims to improve our knowledge of European children’s and parents’ experiences regarding the opportunities and risks involved in the use of the internet and new online technologies. The network is comprised of over 100 experts and academics from 33 European countries. This post gives the views of the author and does not represent the position of the LSE Parenting for a Digital Future blog, nor of the London School of Economics and Political Science.